Our week here will incorporate first class ski instruction in classic and skating technique, many kilometers of cross-country skiing and a chance to take part in the Dolomitenlauf Ski Marathon, which takes place from the biathlon and cross country ski stadium. The week is aimed at both experienced skiers with good fitness, and beginners who are very fit and well prepared on roller skis. With the half distance option as well, this week is a good introduction to racing, or take on the full distance. If you have any doubts about the trip's suitability let us know, we can advise. 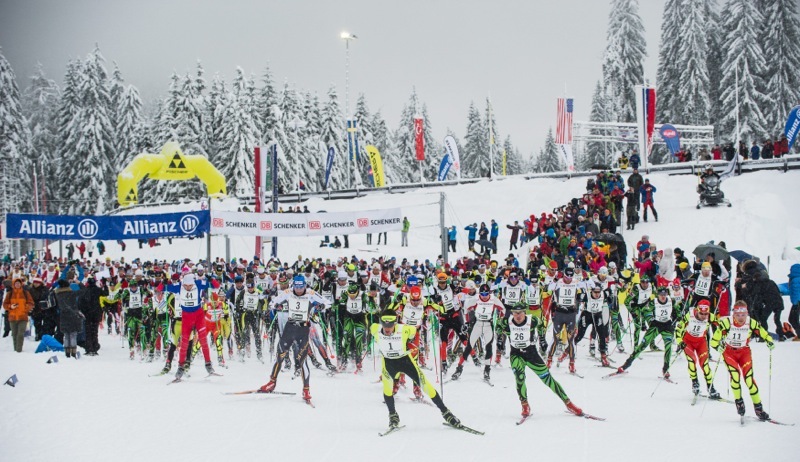 If you are preparing for other ski races later in the season, this will be an ideal week of training, and will fit in well with roller ski training. Returning skiers will be encouraged to progress their skills further. A few days before the race there will be a trip to the race location to ski parts of the course, test skis and wax, go shopping and relax. We are also able to have a go at biathlon in Obertilliach, and this can be arranged at any time during the week. Each day there will be two training / instruction blocks, classic and skate and in the evenings waxing talks, ski selection information and videos on training methods. ​Skiers are not expected to attend all sessions, and are free to explore the trails. With Obertilliach so well situated, we can ski from the village each day, and make regular trips to the biathlon and cross country ski center which is only 1 km away. Obertilliach has a very good snow record and has invested heavily in increasing snow making on the trails. ​Full information about the two races can be found at on the following websites. Travel time is about 2.5 hours via the bus service and up to 4 hours via train depending on connections and airport choice. From all major airports, it is recommended that you travel to Tassanbach, which is the closest town to Obertilliach, then we will arrange local pickup. The local ski hire is able to offer top end 2018 / 2019 race equipment for hire, and a great range of boots and skis for sale.